I would like to congratulate you once again on your splendid production of the Literary Cafe held last week at the Embassy of Austria. You succeeded in transforming the heavy concrete performance space into an intimate cafe setting. 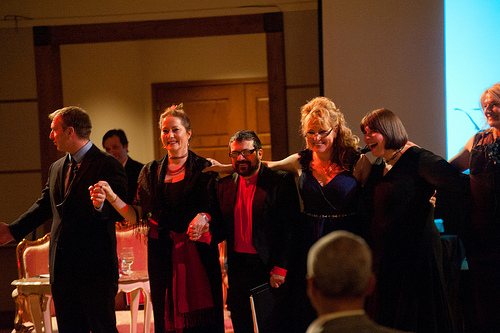 The combination of poetry, music, song and dance came together marvelously around three major themes of the evening. Your readily recognizable ease, infectious joy and delivery pervaded the room. You made it all look so natural and easy even though a great deal of work and preparation went into developing the concept, organizing the script and directing the production. I regret that limited resources may not have permitted you to extend the show for a few more nights and even take it on the road. The quality of your production deserved no less and several of the performers told me they would have enjoyed participating in a repeat performance. Actor with many talents joins our Literary Cafe at the Embassy of Austria! To date, Scott Sedar has been associated with the Ambassador Theatre mainly as an actor. His participation in the production of Literary Cafe: In The Realm of Women, due to open on 7 March at the Embassy of Austria, has introduced another talent of his, that of a painter. Trained at University of Denver and taught by artists such as David Holt and Gerald Wartofsky, he says that the reason why he does what he does is that he finds himself to be attracted to his surroundings. He says “I like to linger and discern the many details that inform my eye. In a very real sense, my attention to the person or object allows me to dance upon its surface and occasionally immerse myself in my subject, as I draw”. 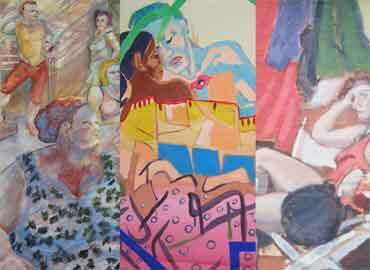 Scott’s works have been displayed at Gaslight Theatre, Denver, CO; Gala Hispanic Theatre, Washington DC; Bethesda Gallery Cafe, Bethesda MD amongst other venues, and published in numerous magazines. Scott’s introduction to his work and his studio, as well as images of his drawings, watercolours, portraits and jewelry can be found on his website www.sedarts.com. To admire Scott’s talents reserve your ticket at our Literary Cafe at the Embassy of Austria March 7, 2013 at 7 pm! Reading beautiful poems by Pawlikowska-Jasnorzewska, Poswiatowska, Karol Wojtyla, Baczynski and others, most prominent Polish poets has been a fantastic way of venturing out from today’s world dramas. Listening to music and songs of Osiecka, Mlynarski, Grechuta, brought tear to my eye, those years will never come back…. 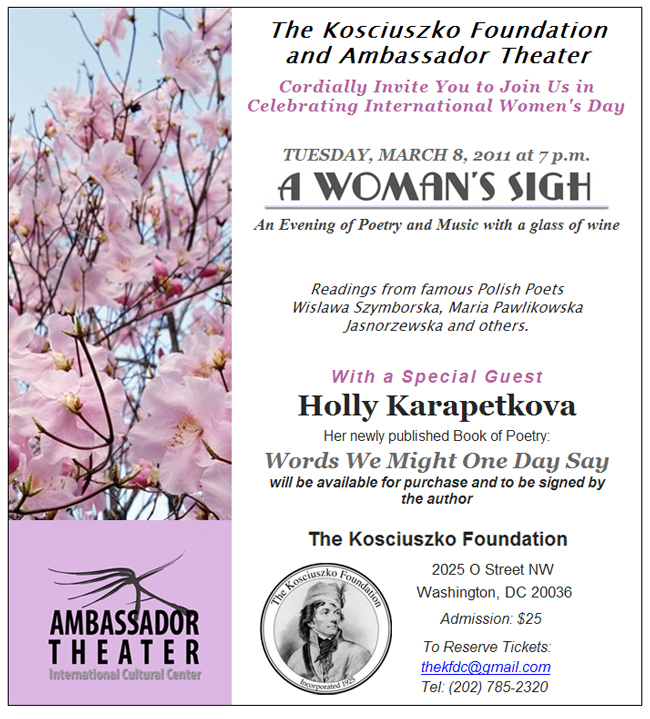 Luckily we do have many great recordings of those who are not with us any more and now I would like to bring some of their songs and poems back in our next gathering May 15th at the newly formed Literary Cafe at the Kosciuszko Foundation on O Street in Washington DC. 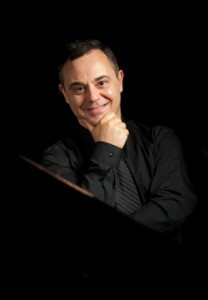 I was so happy to hear that Ivo Kaltchev, an accomplished concert pianist will join us May 15th! Prizewinner of international piano competitions and a Bösendorfer Artist, Ivo Kaltchev is enjoying a successful performing career as recitalist, soloist with orchestras, chamber musician and recording artist. “Formidable technique” (Piano Journal, England), “possesses the genius of rubato”(Diapason, France), “superb musicianship” (Phar, Israel), “distinctive and original” (Soviet Culture, Russia), “impressive” (Frankfurter Neue Presse, Germany), “most beautifully and idiomatically played” (International Record Review, England), “glittering,” “ big technique” (The Washington Post, USA), “his tonal qualities are astounding…first class” (American Record Guide, USA), “fine” (Fanfare, USA), “a master of the whole range of pianistic attacks and coloristic effects” (The Star Ledger, USA) – these are some of the words which music critics have used to describe Mr. Kaltchev’s unique artistry. Dr. Kaltchev has performed in musical centers throughout the world, includingLincoln Center’s Alice Tully Hall, Kennedy Center, Moscow Tchaikovsky Conservatory Malii and Rachmaninov Halls, St. Petersburg State Philharmonic Hall, Warsaw National Philharmonic Hall, Salle Moliere (Lyon, France), Teatro Verdi (Salerno, Italy), Tel Aviv Museum Recanati Auditorium (Israel), Mendelssohn Hochschule für Musik Hall (Leipzig, Germany), Princeton University’s Richardson Auditorium, the Library of Congress, and the Bulgaria Great Hall. He has performed and taught at music festivals throughout the world including the Washington International Piano Festival (Washington DC), the European Academy for Music and Arts (Montepulciano, Italy), the Chinese-American International Piano Institute (Changdu, China), the Perugia International Music Festival (Italy), Nancyphonies International Music Festival (France), Mozart International Music Festival (Frankfurt, Germany), the Toledo International Music Festival (Spain), the Sofia Music Weeks International Festival (Bulgaria), the Lincoln Center French Music Festival, the Prague Spring International Music Festival (Czech Republic), the Varna Summer International Festival (Bulgaria), the Rutgers SummerFest (USA), Vivace International Music Festival (USA), and Florida University Young Pianist Festival (USA). Some of the highlights of recent seasons include both a solo recital and a concerto performance with the New York Festival Orchestra (now EOS Orchestra) in Alice Tully Hall, performances of the complete solo piano works of Debussy and the complete songs of Henri Duparc as well as concerts in the U.S., China, Russia, Germany, Spain, Finland, Bulgaria, Italy, France, Czech Republic and the Virgin Islands. A respected chamber musician, Mr. Kaltchev has collaborated with the New York Metropolitan Opera soloists Sharon Christman, Fabiana Bravo and Patrick Carfizzi; pianist Ilana Vered; Essex Quartet; French actress Marie Christine Barrault as well as members of the New York Philharmonic, Boston Symphony, National Symphony Orchestra and Royal Concertgebouw Orchestra. Mr. Kaltchev performs regularly at the Moscow Tchaikovsky Conservatory with Russian pianist Prof. Irina Koulikova. His engagements for the 2010-11 concert season include recitals and master classes in the United States, Bulgaria, Thailand, Singapore, Portugal and China. Mr. Kaltchev’s critically acclaimed commercial recordings on the Bulgarian “Gega New” label include an all-Charles Griffes CD (hailed by the French magazine Diapason as “the most accomplished interpretation known until now”) and a CD with the world premieres of solo piano works by the French composer Florent Schmitt. Mr. Kaltchev has been a featured artist for the New York City’s WNYC and WQXR Radio Stations, Radio Free Europe (Germany), Radio Moscow, Klara Radio Station (Brussels, Belgium), Bulgarian National TV and Radio, and many others. Mr. Kaltchev holds the Doctor of Musical Arts degree from Rutgers University (USA), the Master of Music degree from Yale University (USA), the Bachelor of Music degree from the Sofia State Academy of Music (Bulgaria) and a Diploma from the Franz Liszt Hoscschule fur Musik (Weimar, Germany). His principal teachers include pianists Ilana Vered, Boris Berman, Milena Mollova as well as chamber musicians from the Guarneri and Tokyo String Quartets. Dr. Kaltchev is a recipient of pedagogy awards for teaching excellence from the Piano Teachers Society of America and the Princeton Steinway Society. He has presented lectures, workshops and master classes at the World Piano Pedagogy Conference, the European Piano Teachers Association Conference, the American College Music Society Conference, the Improving University Teaching International Conference, the Yale University as well as in the United States, Europe, China, Korea and the Virgin Islands. Dr. Kaltchev is an active adjudicator and has judged the following international piano competitions: Maria Clara Cullell International Latin American Piano Competition (Costa Rica), Louisiana International Piano Competition (USA), Vladigerov International Piano Competition (Bulgaria), Jacinto Guerrero Piano Competition (Spain), Florida International Piano Competition (USA), Andorra International Piano Competition, International Young Artist Piano Competition (USA), Liszt-Garrison International Piano Competition (USA) and Los Angeles International Liszt Piano Competition (USA). Mr. Kaltchev’s students are prizewinners of more than 20 piano competitions and have performed with numerous orchestras including I Solisti di Perugia (Italy). Dr. Kaltchev is the Founder and Artistic Director of the Bulgarian Music Society Concert Series at the Bulgarian Embassy in Washington DC. Currently, Dr. Kaltchev is Associate Professor of Piano and Chair of the Piano Division at the Catholic University of America in Washington, D.C. He is also a Visiting Professor at the China Conservatory of Music in Beijing, China and Co-Director of the Washington International Piano Festival in Washington DC. During the Fall 2010 semester, Dr. Kaltchev will be teaching at the Yale University School of Music as a Visiting Lecturer.